Here are a few ideas to start. Sri Yantra loosely translates as loom, instrument or machine. In actual practice, a yantra is a mandala that symbolizes aspects of divinity and the creative forces of the universe. This stunning piece of jewelry made with 24kt Gold and other precious metals is enough to make anyone gasp in awe. Furthermore, TULKU donates custom amulets and a percentage of all proceeds towards One Heart Worldwide (to help prevent the deaths of mothers and their infants in remote rural areas of the world), The Blue Deer Center; and ten percent of all online orders goes towards the TULKU NEPAL FUND, helping to better the lives of the people of Nepal. 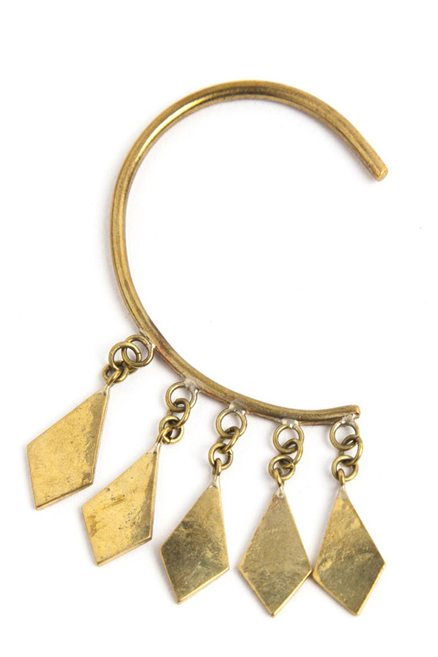 This edgy, yet elegant ear cuff is made of upcycled brass. This particular Raven + Lily collection benefits and employs at-risk artisans in Nairobi, Kenya at a fair wages to help improve their livelihood with sustainable, dignified employment. KOOSHOO is a sweet little accessory company that is geared toward yogis. They are an ethically operated, solar powered, organic, hand dyed "mom and pop" brand that also gives away 11% of sales to charity. This adorable handmade necklace is made from recycled metals with a non-tarnish gold finish and stainless steel insert. The eco-jewelry vial is the perfect hidden chamber to place a few drops of your fave essential oil that diffuses when wearing and can be topically applied. All materials were ethically sourced and VLTA strives to be a zero waste company. 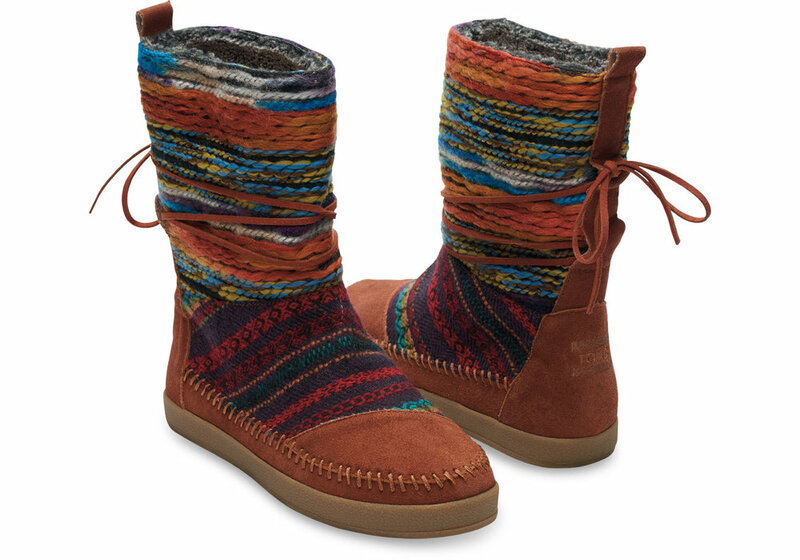 Yes, TOMS has seriously stepped up their game on the fashion tip with styles galore. And you can't get much more "ethical" then their One For One campaign that gives one pair of shoes to someone in the world who needs them, with every purchase. They have moved even beyond that to provide shoes, sight, water, safe birth and bullying prevention services to people in need. I feel so good about copping a pair of these now! Threads 4 Thought is a sustainable clothing brand that launched in 2006. With a small collection of tees made from eco-friendly fabrics with graphic designs inspired by worthy causes they started to gain serious momentum. Today, Threads 4 Thought is a full lifestyle brand of fashion that is responsibly produced & supports sustainable initiatives like the International Rescue Committee’s New Roots program. There's a new eco-friendly underwear line on the block and we're all over it. All of their products are designed, cut and sewn and made in the USA. Materials they use include organic cotton, bamboo, organic wool and they're also vegan ... YES! 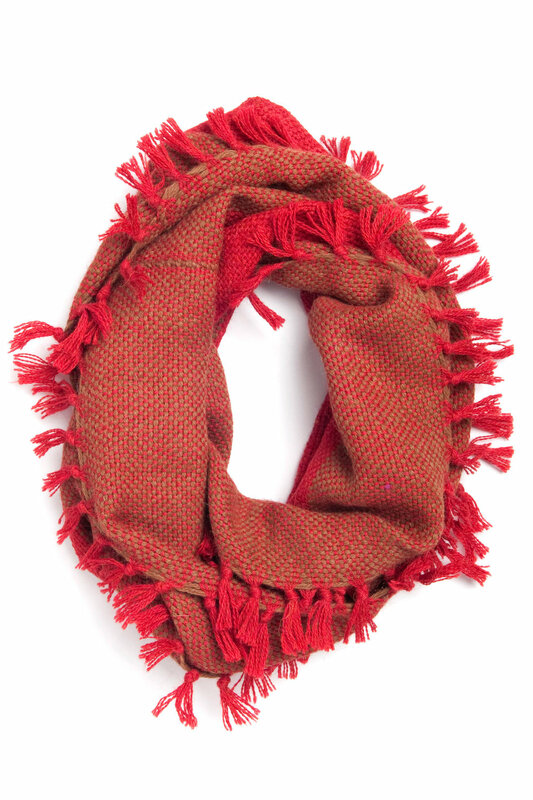 This handmade, 100% Alpaca thread scarf is naturally hypoallergenic with the feel and quality of cashmere. Each piece is hand-knit or created on a manually threaded and operated weaving machine. The GREENOLA STYLE collection uses fashion as a tool to create positive change in the world and provides advancement opportunities to artisans in marginalized regions of the world. Did you know that Rose Quartz is the color of the year, according to Pantone? 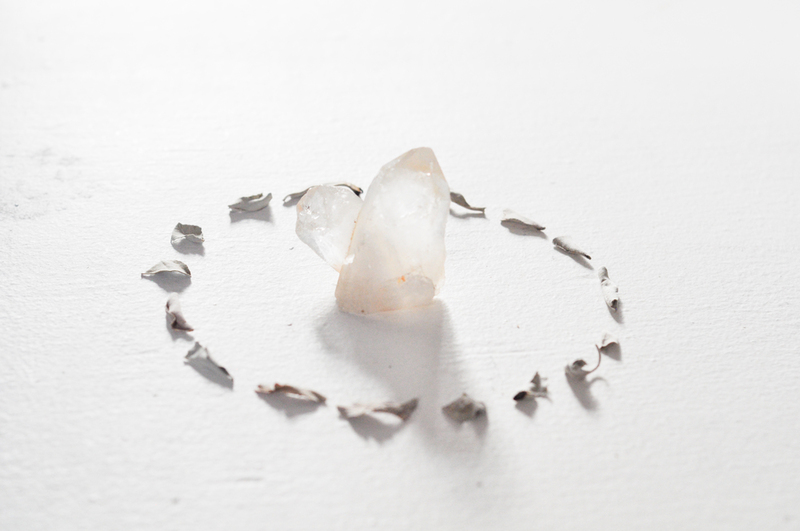 Rose quartz is associated with love, romance and the heart chakra. Gemstone Organic is 100% USDA organic, raw and food-grade (meaning technically you can eat it ... but lawd, please don't!). This tiny gift set is truly a token of love and appreciation. During this dry and super cold winter, the eyes need to be moisturized and nourished too! However, eyes are so sensitive you need to make sure the creams and/or oils you put around them are clean and toxin-free. 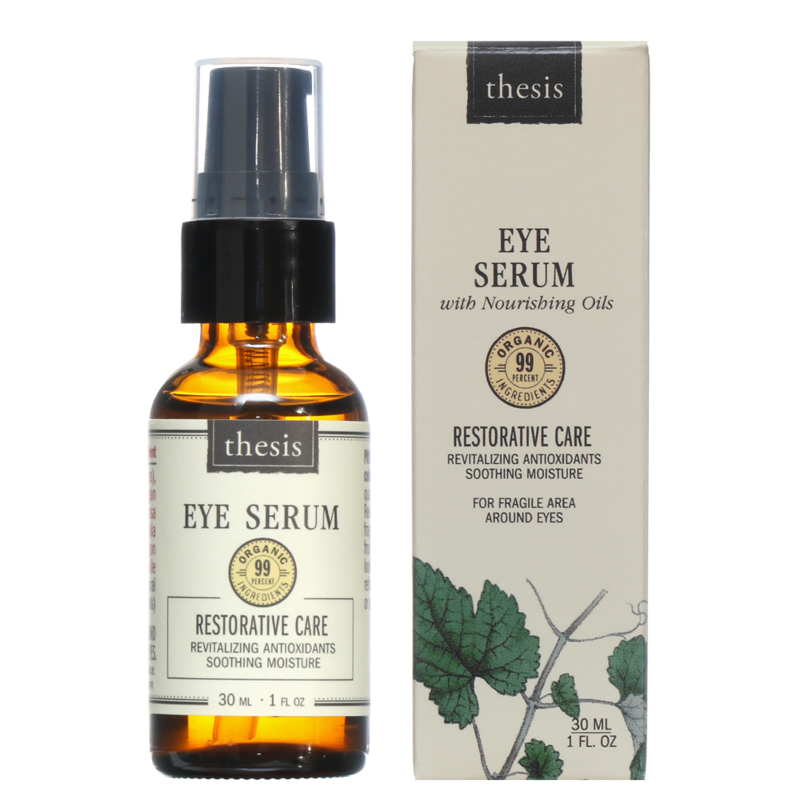 This superbly moisturizing Organic Eye Serum is 100% preservative-free, chemical-free, vegan and deeply hydrates the "windows to your soul." 100% Organic Essential Oils just got a serious facelift. Tazeka is pure aromatherapy that blends science, spirit, and style. Oils are blended based on their therapeutic properties, scientific research, time-tested historical uses and the energetic qualities of the plants. Their blends range from "Nonstop Thoughts" and "Peaceful Slumber," to "Meditation Guru" and "Motivation." Tazeka is also all organic, ethically farmed, unsprayed and wild-crafted. Had to share the video they created below ... so cool. 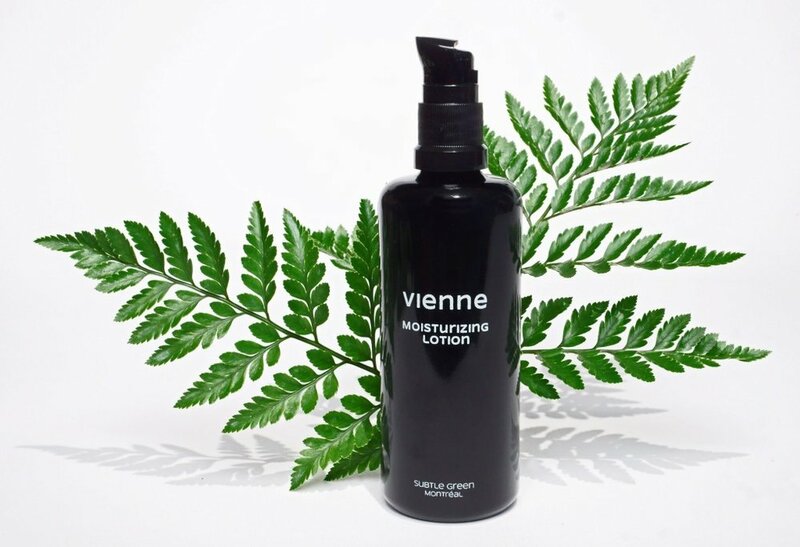 If you're not quite sure what to get, why not try an all-natural customizeable skincare product? Basically, you pick and choose your base oil/moisturizer and then add in "boosters" like your favorite essential oils. This will allow you to get creative and/or even ask what their favorite scents are to make this a perfect gift. There's nothing that says self-care more than a luxurious hair ritual. This set is great for anyone who would like to pamper themselves with this ancient self care tradition for that spa-at-home feel. Traditionally, Buddhist Lamas spin handheld Tibetan prayer wheels like this one to induce a meditative state and good karma. While it spins, chant the sacred mantra, "Om Mani Padme Hum" (inscribed on the wheel). You place a small prayer scroll inside the wheel to offer prayers for protection against negative energies. This beautiful fair trade prayer wheel was handcrafted in Nepal and inlaid with turquoise and coral. Bold bands of red and black power your practice while rainbow camels trot serenely between ancient symbols. This unique yoga mat was created by artisan Sophie Leininger and is a phthalate-free, non-latex PVC mat with sustainable UV-cured inks. MCYM donates a percentage of proceeds of Sister Moon Magic Carpet Yoga Mats sales to FRIDA | The Young Feminist Fund. And it's like no other yoga mat on the planet. 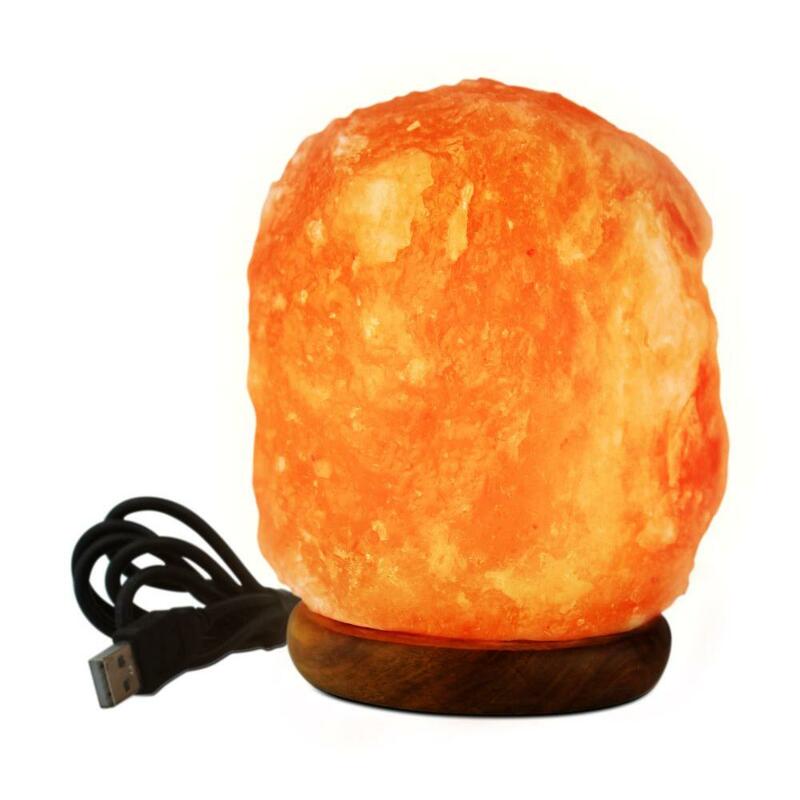 This gorgeous salt lamp protects against harmful EMFs that emanate from computers and other electronic devices. Salt lamps send out beneficial ions into the atmosphere to promotes health & well-being and they create a lovely ambiance in any room. Certain herbs are so incredibly important for our health. They are the original medicine and can fight disease, heal an ailment and boost your wellness ten-fold. 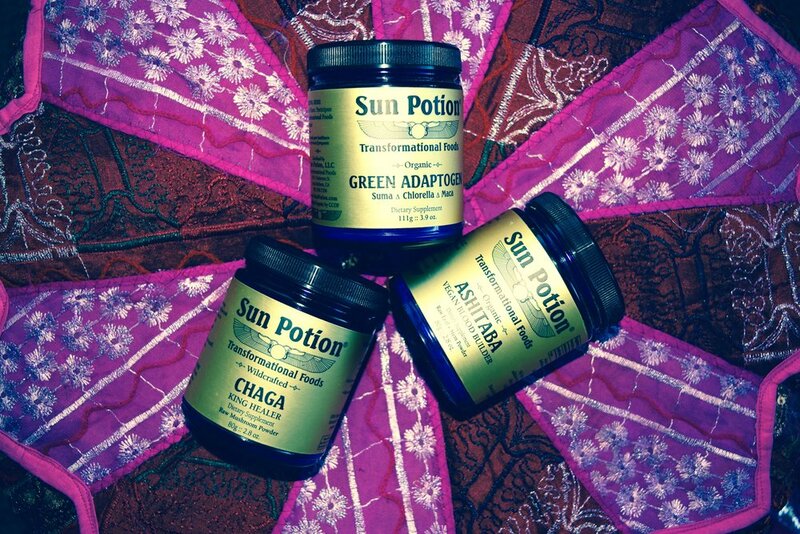 Sun Potion has a wonderful array of herbs from Traditional Chinese Medicine to Ayurveda, they cover the whole range. 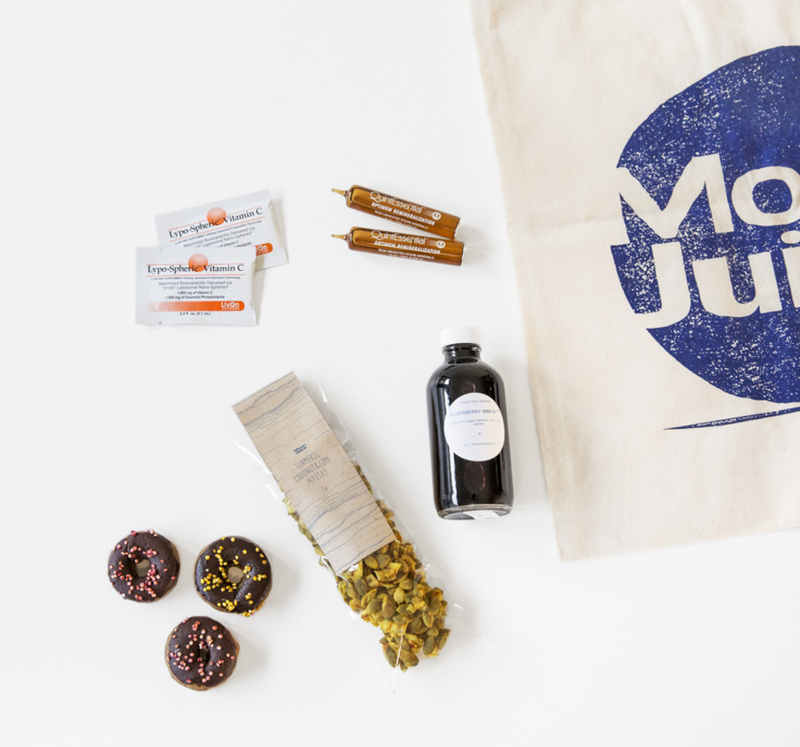 Originally, there was going to be a juice cleanse from Moon Juice on this gift guide, but c'mon ... Organic Chocolate CHAGA donuts!? Turmeric, Coconut & Lime Pepitas? And it's good for your immune system!? This kit also includes 2 vials of Quintessential Optimum, 2 packets of Livon Labs Lypo-spheric Vitamin C, an Elderberry Immunity Cup and a cute Cotton Moon Juice Tote. Plus, it's sent straight to your doorstep. Bingo! It's either hit or miss with chocolate. This array of superfood chocolate is most definitely a hit. Made with fair trade organic cacao nibs, raw coconut flakes and infused with the goodness of superfoods like organic Moringa. Oh, and they have a selection for the true chocolatier – Chocolate Hazelnut Fig, Macadamia Coconut and Original Dark – it's ON! Give the gift of of health! Gift this14 day guided journey with Claire Ragozzino and Adena Rose Ayurveda towards deep inner clarity and balanced health. In this online community cleanse, receive all the tools you need to prepare and conduct a seasonally aligned whole food cleanse at home with the connection and support of an online global cleanse community. Through a series of webinars, daily emails and curated group forums, you’ll receive a step-by-step cleanse plan with winter-balancing recipes, menu planners, shopping lists, body care tools, and home yoga and meditation practices and learn how to build a holistic Ayurvedic lifestyle that leaves you feeling nourished, purified and strong into the new year. If you're like most busy folks, it can be tough to get to the gym or even a yoga studio for that matter. That's where Grokker could be a huge help with your health & wellness goals. It's basically a subscription network of expert led yoga, meditation, fitness and healthy cooking videos. Play the videos on your TV, iPhone, iPad or any other streaming device -- anytime, anywhere. It's also a more eco-friendly way to get super fit by skipping your daily commute to the gym. 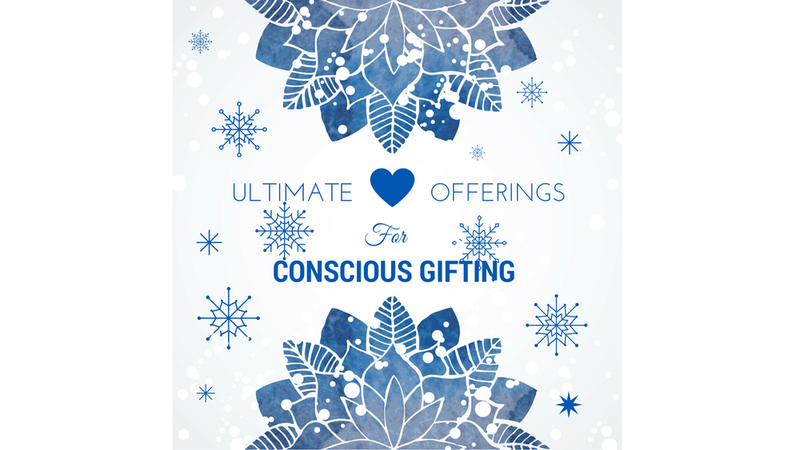 What an incredible gift to offer someone a one-on-one manifestation session. During this three-part session, expert manifestor, Lacy Phillips will guide you through the process of going deep into your subconscious and uncovering the root of blocks, limiting thoughts, lack, and low self-worth to help manifest your truest desires.